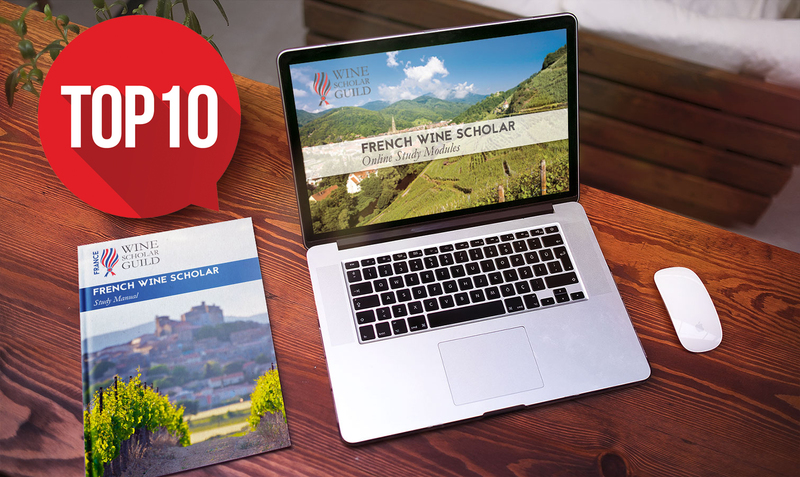 Thinking about signing up for the French Wine Scholar program? Be inspired by what our students are saying about the program and the top ten reasons they give for enrolling. When it comes to wine culture, France is the historic benchmark. Your wine education can’t be complete without studying the wines of France. I view understanding France as a critical foundation of my wine journey. There’s no doubt that studying wine can be daunting. The world of wine is changing constantly. At WSG, we work hard to stay current and to present relevant facts in a clear and concise manner. I was delighted to find a wealth of online references and felt the guided lectures and study material intuitive and easy to follow. Perhaps you’ve just finished WSET Level 3 and are not ready to jump into the diploma - but you miss the learning. FWS is the perfect way to continue with your studies and stay motivated. FWS added a lot to my previous wine studies, first because it was more focused and detailed in the French wine scenario. Second, it was a different approach,that expanded my comprehension. You’ve taken the plunge and are working towards the WSET Diploma or a sommelier designation. FWS will support you by providing in-depth information about all the wine regions of France, a key component of these advanced programs. Whether you work in the import, distribution or retail sector, you need to feel confident about the wines of France when you talk to clients and customers. FWS can help you find your wine voice. I really enjoyed studying for the FWS. It was a thorough and in-depth look at French wines and it helped me talk about these wines with confidence. This new knowledge directly affected my job performance as my French wine sales almost doubled. If you are a sommelier, it’s important that you really know the wines on your list and feel confident in providing advice to your guests. FWS provides not just the facts about the regions, but also many of the stories that can help engage guests. Performing well in the FWS program has added a tangible level of confidence to my understanding of France, as well as given me a host of resources to call upon as a member of the WSG through podcasts, webinars, pronunciation guides and reference materials. 7. Because I love France! What Francophile can resist a virtual tour through the vineyards of France? Grab the baguette and Brie and come. The FWS has helped me to find the area of wine I wish to focus on—France—and from there develop an ever deeper understanding of its regions. The wine industry can be competitive and having the FWS certification helps to set you apart from your colleagues. FWS has multiple endorsements & testimonials from leading figures in the industry, including Gerard Basset MS MW (Best Sommelier in the World 2010), Jay Youmans MW (Founder of Capital Wine School) and Peter Marks MW (VP of Education at Constellation Academy of Wine). FWS helps me to indulge in my passion for wine, but it also adds to the success of my business by providing me with additional credentials to further distinguish myself from my competitors. FWS is a truly international program with over 50+ program providers in 20+ countries including USA, Canada, Singapore, Hong Kong, Taiwan, Shanghai, UK, Ireland, France, Sweden, Colombia and Brazil. You’ll find our students wherever you go and they are an amazingly driven and professional group of individuals! If you find it hard to commit to being in class at the same time every week, the distance learning program is for you. Designed to keep you motivated and on track, the course offers a series of webinars led by two of our highly qualified instructors. Don’t worry if you miss a webinar, they are recorded and posted. FWS is a beautifully constructed program. I was lucky to be able to enroll in the instructor-led classroom program which at least for me is so much more beneficial than independent study. Sharon is a certified sommelier through the International Sommelier Guild and an award winning wine instructor. In 2009, she completed the WSET Diploma with the highest marks in Canada. Since then she has gone on to become a French Wine Scholar, an Italian Wine Scholar, a Bordeaux Accredited Instructor and a Certified Sherry Educator. When not engaged in a wine glass, she is a highly sought after management consultant with more than 20 years of international experience.